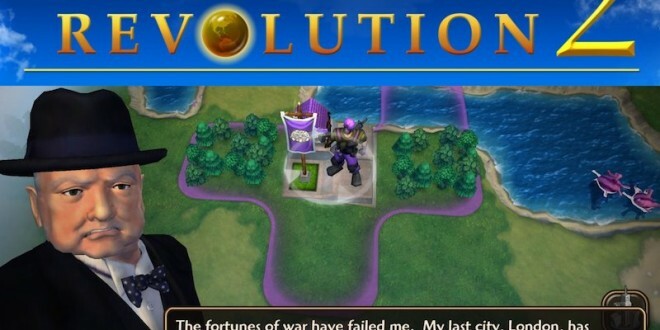 Civilization Revolution 2 has launched today and is available on all iOS devices, including the iPhone and iPad, for $15. Publisher 2K Games has previously described the title as: “The game [that combines] the core tactical elements of the series with intuitive controls and a friendly user interface – designed specifically for mobile gamers on touch-pad devices. “The latest instalment in the Civilization series is the first to be developed solely for mobile devices, a massive disappointment for those who enjoyed the first game on consoles. This has allowed the team behind the title to work on easy to learn controls that work much better on mobile devices than is typical with strategy games. 2K Games also noted that the game had been optimized for iPhone, iPad, iPad Mini and iPod Touch. Civilization Revolution 2 lets players go head-to-head with great leaders from human history as they take their civilization from the dawn of man right up to the modern age. According to 2K Games you will have go to war, research technologies, build a variety of buildings and use diplomacy to rise as a great empire. Not only will gamers be able to play as any of the leaders from the previous game in the series but they will also have access to additional greats from history. This includes the likes of Abraham Lincoln, Gandhi, Winston Churchill and Kennedy. Its predecessor launched in 2008 for Xbox 360 and PlayStation 3 before later seeing releases on iOS devices and the Nintendo DS. The game was essentially a simplified version of the series made to play on other platforms. It had a strong positive reception, praised for bringing the strategy genre to consoles with fluid controls and for not dumbing down the gameplay significantly. A release on Android devices is scheduled for later in the year and there has been no word about whether the game will arrive on other platforms. Another title in the popular strategy series is also coming out this year for PC. Sid Meier’s Civilization: Beyond Earth will see players try to build a new colony on a different planet and will release in fall.